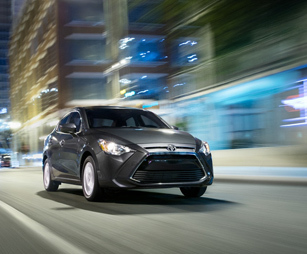 The 2018 Toyota Yaris iA combines style and tech seamlessly into one fun ride. 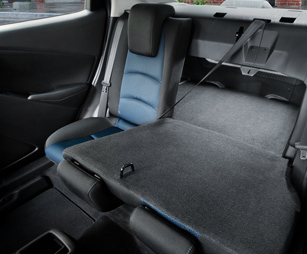 Beautifully designed inside and out with a unique exterior and premium comfort throughout, you’ll love every adventure in the new Yaris iA. Plus, technology comes standard with numerous up-to-date features designed to both protect and entertain allowing you to leave your cares behind and truly enjoy the drive. Now’s your chance to rev up the fun and turn heads when you hit the road in the 2018 Yaris iA. 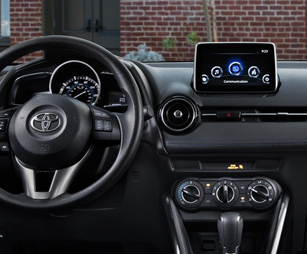 Come discover more for yourself when you test-drive a 2018 Toyota Yaris iA in Rocky Mount, NC, at Rocky Mount Toyota, also serving customers from Wilson, Tarboro and Greenville, NC. 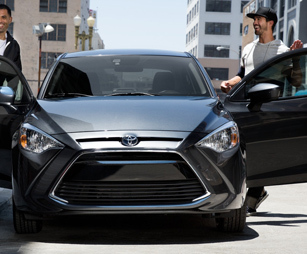 If you’d like to purchase or lease the 2018 Toyota Yaris iA in Rocky Mount, NC, stop by Rocky Mount Toyota at943 North Wesleyan Blvd., Rocky Mount, NC 27804 for a test-drive today. We look forward to serving our customers from Wilson, Tarboro and Greenville, NC.